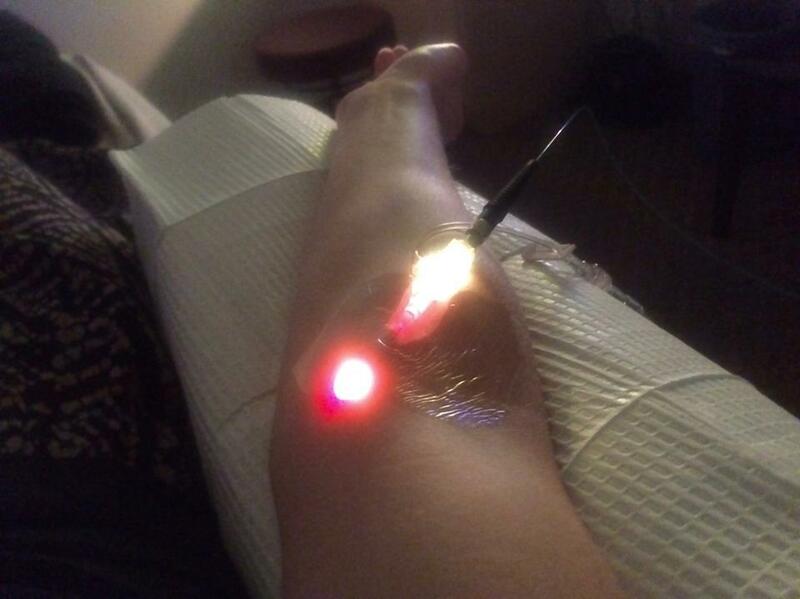 UVLrx treatment shows the light in the IV catheter. UBI has yet to make a dent in mainstream doctors’ version of integrative medicine, in which a typical practice adds massage, nutrition, lifestyle counseling and sometimes acupuncture. Traditional UBI uses an external light box to treat a blood specimen before returning it to the patient’s body. A new form of UBI shines a light through an IV catheter, directly onto the bloodstream. The new system, which has not yet been approved for commercial use by the Food and Drug Administration, belongs to UVLrx Therapeutics of Oldsmar, near Clearwater. In September 2015 the European Union approved the sale of one of its models, but it must be exported. Meanwhile, the traditional light box treatment, approved by the FDA many years ago, is easy to find on the Internet. 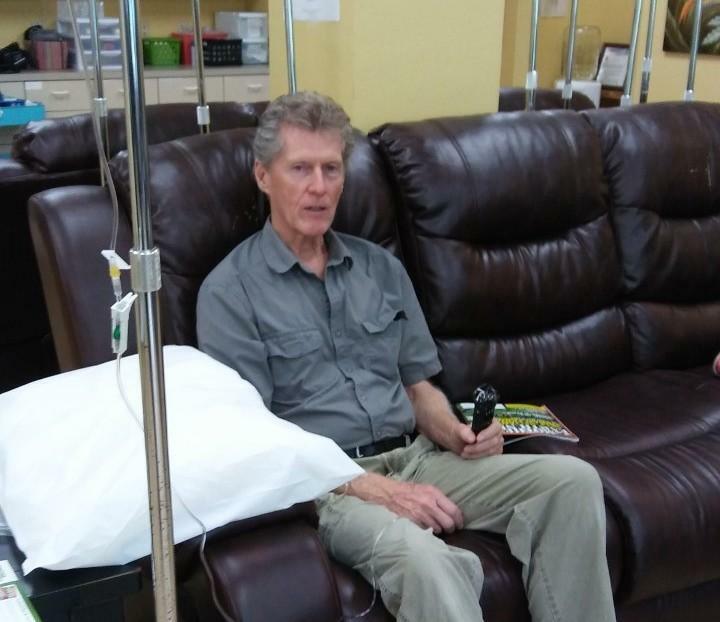 At the Florida Integrative Medicine Center in Sarasota, UBI patients sit in recliners, hooked up to IVs. About 200 cc’s, a little less than a cup, of their blood will be exposed to a light source in a small brown box nearby. Those who believe in UBI offer a list of 60 or more ailments, from depression to AIDS, that they say it cures or improves. Lowe’s site, drsubi.com, lists 131 studies that have been published on the ultraviolet blood therapy, but few since the 1950s are in English. Most since then were done by Russians, including many that have not been translated. One involved treatment of 312 workers who were exposed to radiation during clean-up after the 1986 nuclear accident at Chernobyl. In the United States, enthusiasm for UBI began to wane after the advent of antibiotics in the 1940s and the discovery of a polio vaccine in the 1950s. Americans forgot about UBI in the era of pharmaceuticals, according to Dr. Monhollon. Popular, maybe, but it usually costs at least $100 a treatment, and insurance doesn’t cover it. There’s a reason for that, says the top immune-system expert at the University of South Florida in Tampa. The growing interest in UBI caught the attention of Dr. Mark Crislip, an infectious-disease specialist in Portland, Ore., and president of the Society for Science-Based Medicine. He says he could find no valid research to support it, only anecdotes from many decades ago. “The reason blood irradiation faded away is that it is fundamentally stupid, and it doesn’t work,” Crislip says. Dr. Edzard Ernst, an authority on alternative medicine at the University of Exeter, said in an e-mail that none of the therapeutic claims for this type of light therapy have been substantiated with good evidence. While it’s true that exposure to light kills many harmful organisms, he said, that raises questions about the safety of blood irradiation. If UV light damages the protein structure of bacteria, could it also damage blood cells? No, says UVLrx Therapeutics, the Florida company that developed a device to deliver light to the bloodstream through an IV catheter. The company holds a patent on the part that makes this possible. The European Union okayed the device for sale there last year. UVLrx Therapeutics tested a similar device on 500 U.S. subjects this year, according to clinicaltrials.gov. The pilot study, which began in January and ended in October, did not include a control group. It was aimed at establishing safety and feasibility, documents said, although patients were to be asked whether they felt a difference in their energy level. Some doctors participating in the trial were taken by surprise that the trial ended so soon after it began. The decision was made by Salus IRB, an Austin, Texas, company that served as an independent review board making sure patients’ rights were protected. Salus staff referred questions back to UVLrx. Hanson said Salus ended the trial because all 500 subjects had been enrolled and no more were needed. But some had only just begun the treatments when the study ended. Diane Gray, a real estate executive in St. Augustine, was irked that she got only four UVLrx treatments at St. Petersburg Health & Wellness Center before the study was shut down. “I thought the results were great,” she said, mostly as an energy booster. The author, Britt Marie Hermes, said many of the clinics that were using the UVLrx device made unsupported claims for it in advertisements, on websites, and even in TV interviews. That kind of behavior is not allowed during legitimate clinical trials, she said. 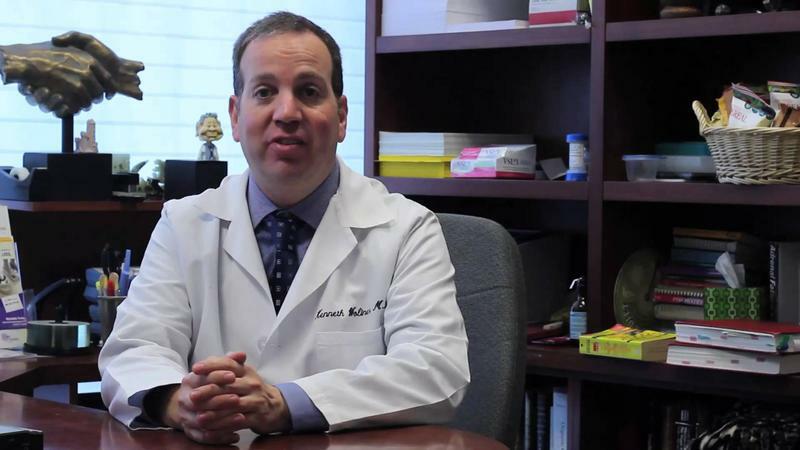 One Florida integrative medicine doctor who touted the benefits of UVLrx treatment while participating in the study is Dr. Herbert Slavin of the Institute of Advanced Medicine in Lauderhill. Slavin could not be reached for comment, but his website does the talking. In a testimonial videotaped after her second UVLrx treatment, patient “Patty F” said it was helping her recover from a mild stroke. Another thing that troubled Hermes was that many of the participating clinics were run by naturopaths, who call themselves physicians but do not have training and skills comparable to a medical doctor, she says. Hermes is a former naturopathic physician who now reports on the field as a whistleblower. Hermes said there were other unusual aspects to the UVLrx study, which she learned after finding participants through social media. Some told her that they were charged thousands of dollars for the treatments. She found a Florida woman’s GoFundMe page that said she had spent more than $29,000 on UVLrx treatments this year for her 15-year-old daughter. None of the patients she talked to were aware that their treatment was part of a clinical trial, she said. FDA requires that patients be fully briefed and give written “informed consent” to be part of a study. State medical authorities revoked the medical license of an “integrative medicine” doctor Thursday for his role in the death of a college student from untreated cancer. Integrative Medicine: Who Makes The Rules? The hottest trend in health care these days may be “integrative medicine,” which claims to blend the best ideas from alternative medicine and conventional practice. But there is vast disagreement on what the best ideas are. And it’s not clear who will decide. Stephanie Sofronsky was just 23, close to graduation from Florida Atlantic University, when she learned she had lymphoma. She didn’t want to believe it. So she sought a second opinion from Moffitt Cancer Center in Tampa and a third opinion from Mayo Clinic in Jacksonville, state records show. Moffitt double-checked with the National Cancer Institute.